The newly refreshed 2019 Jeep Cherokee has updated styling with classic Jeep performance that Hobbs NM drivers trust. Now see what the latest reviews are saying about the 2019 Cherokee. Ready to test out the 2019 Jeep Cherokee in person? 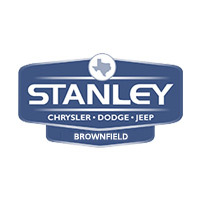 Browse our selection of new Cherokee models available at Stanley Chrysler Dodge Jeep Ram Brownfield near %%target_city_3%. Jump start the buying process by getting pre-approved for financing before stopping by for a test drive today.